Download "E-Mail: SupportCenter@uhcl.edu Phone: 281-283-2828 Fax: 281-283-2969 Box: 230 http://www.uhcl.edu/uct"
University Computing & Telecommunications Virtual Private Networking: How To/Self- Help Guide Windows 8.1 Operating System. 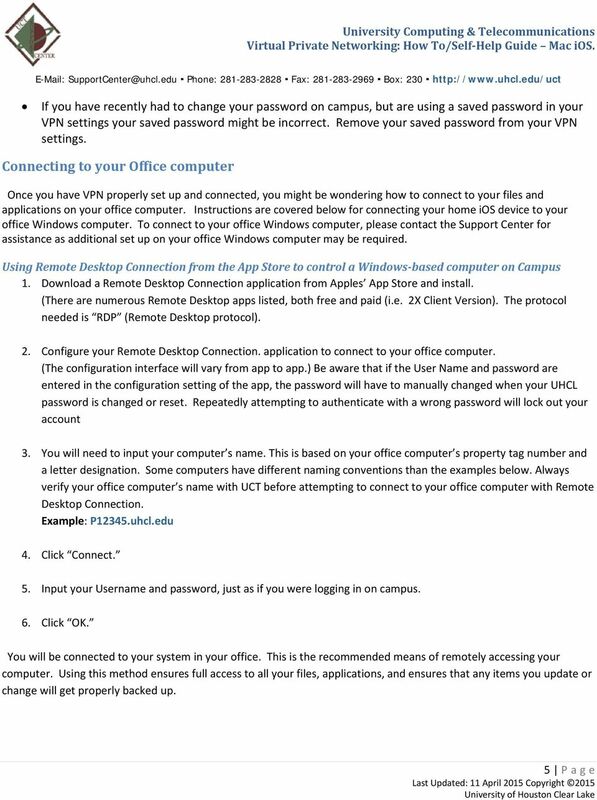 CruzNet Secure Set-Up Instructions for Windows Vista 1. 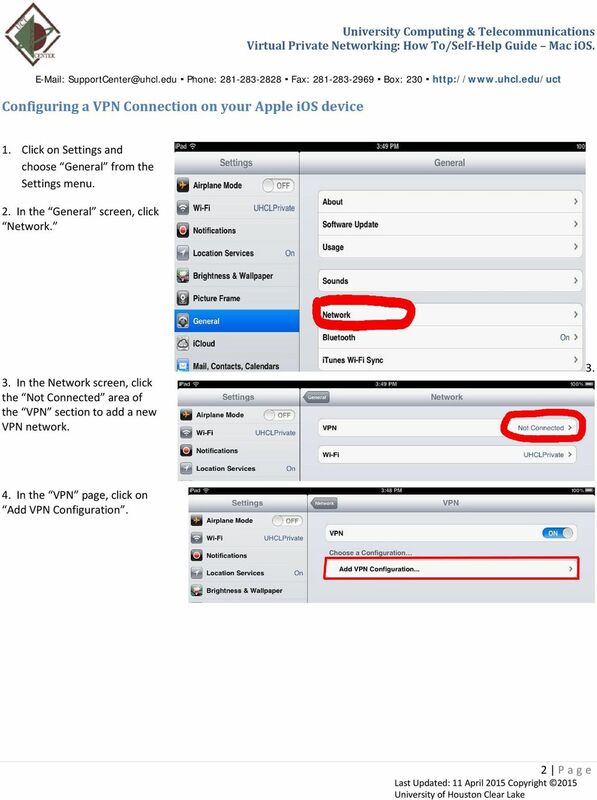 In order to start using CruzNet Secure, you'll first need to create a password at https://vpn.soe.ucsc.edu/. Click on the reset your password link. The initial set up takes a few steps, but then each time you want to connect it is just a two set process. How to access UCSD Restricted Library Journals off campus, including from Rady Children's hospital. Using the UMD Wireless Network with OSX 10.5.x Leopard, 10.6 Snow Leopard, and 10.7 Lion Updated 10/2011 Using the Wireless network at UMass Dartmouth is easy, but takes some initial effort to set up. 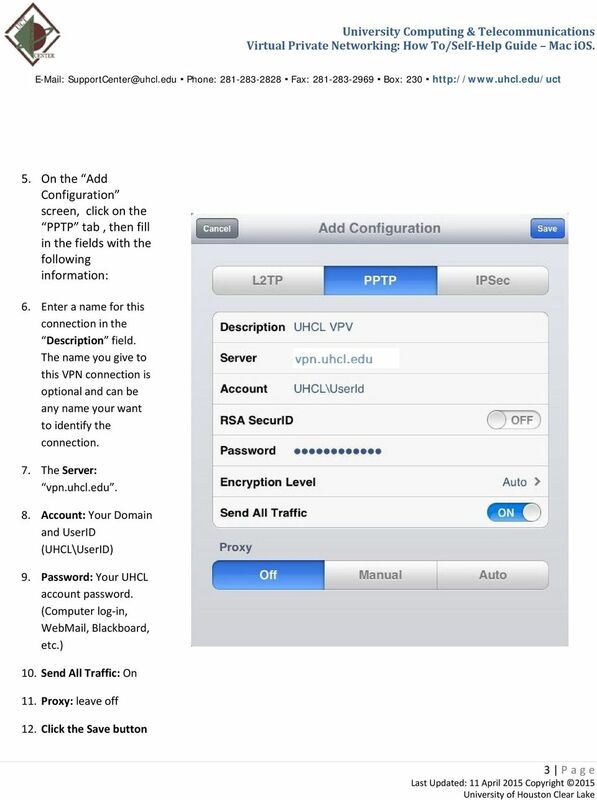 How to connect to NAU s WPA2 Enterprise implementation in a Residence Hall: General Settings To connect to the ResNet-Secure SSID, a device is needed that supports 802.1X authentication and WPA2 Enterprise.